This Christmas ornament plays a clip from a song that has become synonymous with most championship sporting events: Queen's We Are the Champions. 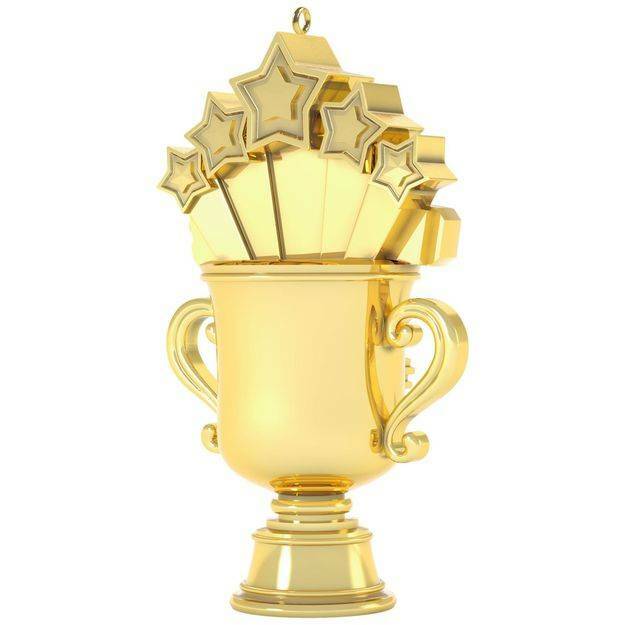 Celebrate your victory year after year with this shiny gold 1st place trophy-shaped ornament that plays your new theme song. If you like the rock group, Queen, this is a must for you!!! 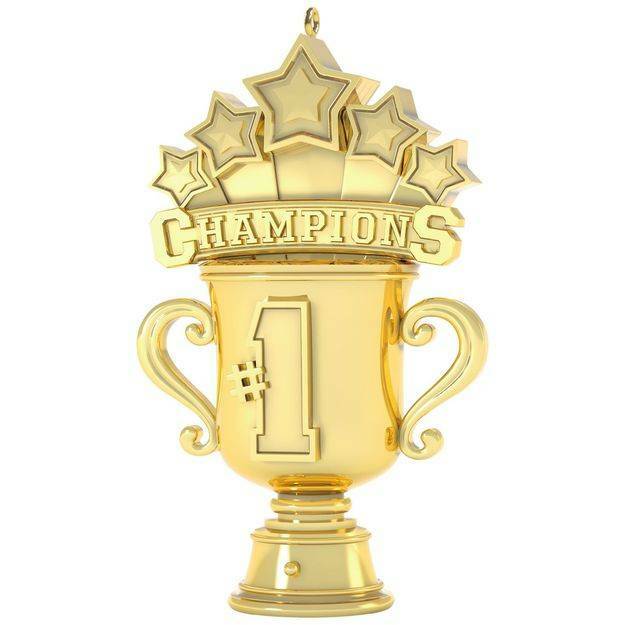 I sing along ,"we are the champions" at every sports event I go to or watch on TV. Well done!!!! !